You can access internet freely without restrictions from your ISP's by using Psiphon VPN app. This app may bypass censorship on your network provider and also serve as additional security when you’re on a public connection. This works on older Android OS like Gingerbread, ICS, Jellybean and Kitkat. With its latest release under version 68 it now supports Lollipop mobile operating system. You can also use Psiphon on your desktop and laptop as it supports Windows OS. How to Use Psiphon on your Android phone or tablet? 1.On your device, go to Google Play Store. Just as simple as that, you are now ready to use Psiphon on you phone. Open your browser and you good to go. On home tab, you can see the client version you are current using and how are you connected (running in whole device). From there also you can see the Start, Stop and Open Browser button. Stats tab, you can see number hours or minutes you are connected with Psiphon. It also shows sent and received data with graphical status. Other details like compressed sent and received data also takes place on this tab for your monitoring. Options tab, here you can select available servers with respective country. On my observation, when you select a country Psiphon will automatically connect to available server on selected country. On following details below, you are given an option to tunnel whole device which requires root or Android 4.0+ operating system. You are also given an option to force root tunnel whole device method. Another option is the “Connect through an HTTP Proxy” where choices are “Use system network settings” or you can manually input the host address and port. More options button is for notification where you can tweak it the way you want. Can I use Psiphon on Globe, Smart and Sun Cellular? Yes, you can use it on any network as long as you provider doesn’t block this app accessing to their network. Just use the default respective network settings in connecting to the internet then run Psiphon. When you are connected, you’ll notice a color blue “P” on home tab while when you still connecting and not yet connected you can see color red “P”. 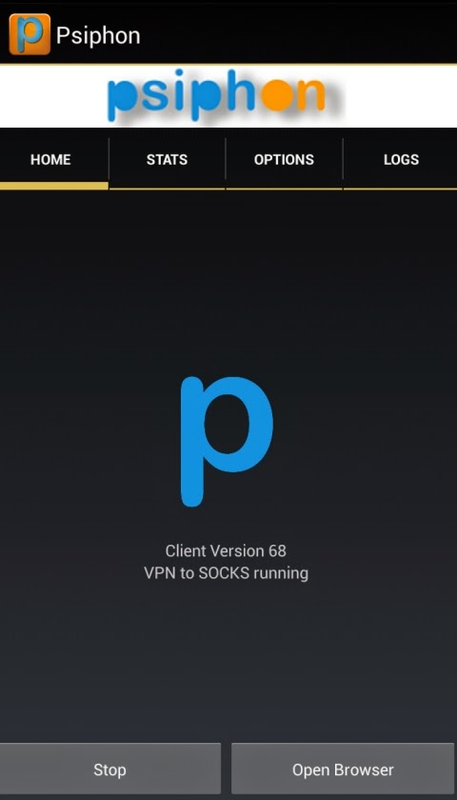 For PC/Windows version of Psiphon, just download then run the app and it will automatically connect you to the internet. You can also use this on your USB broadband and pocket Wi-Fi, just set the correct APN on the network you are currently using then that’s it. Unlike other VPN app, Psiphon is free and one of the best free VPN you can find out there. If you're using Handler versions of Psiphon for Android do check PAdvance Handler UI Settings. On my test with Psiphon over mobile network, it works like a trick, hide you current location while you are browsing, compresses data usage and more. Don’t get confuse if you’re not redirected to a certain sites domain extension when you are using this app. Same Here... since the 2nd week of december 2014. no longer works. any discovery? Need update about setting it. anu po b gmit mo sun b? How do you make it work? Im using smart sim. matagal mag connect hirap bakit ganun! how to use this kind of app? It is banded in my network..
Connect to psiphon using smart prepaid sim... Guys, it's working until now. In fact, I'm using it as of the moment (November 6, 2015 11 pm).. It's better if you will connect at night because the psiphon's server is fast and unstable...so just register to super messaging 10, fb2, and free wiki. Mga boss gumagana pa po ba ito ngaun? pahingi naman ng settings ng globe pls..
Sa Smart ko okay naman. Nakaka download ako walang limit kahit Movies na 1.85Gb pa. HSPA (H) pa lang nga data ko. Pero mas malakas Globe dito samin. Pano po settings ng Globe? i-uncheck mo show on start. Sir paano pag set up ng APN ng smart prepaid .. At piano din pag set up sa phispon more options..salamat. kelangan pa ba ng terminal emulator? Boss ngana ba to khit hindi rooted ang phone? 7 months ko nang gamit psiphon tnt gamit ko kahapon lang nawala.ayaw na mag conect.bkit kya nwala..
gumagana sakin...meron po ba kayo sa globe?..share nyo naman guys.. Setting po ng sun ...ty po sa sasagot..
cnunod q lng instructions pero puro fetching remote list at selecting server lng lumalabas. pano po ba ggwin? Panu ang setting pg globe or tm ang gamit. .
wala bang bagong settings ? ?